Christian talks rock and roll with his friend Jessica, better known on the radio as Carsen, who shares her experiences going to see Def Leppard inducted into the Rock and Roll Hall of Fame, the Motley Crue biopic, "The Dirt", the state of rock and roll in terms of records, radio and touring. Plus, much more! Download Bladtcast #321 - "Rock Talk with Carsen : Def Leppard Hall of Fame, 'The Dirt' and More!" Users who like Bladtcast #321 - "Rock Talk with Carsen : Def Leppard Hall of Fame, 'The Dirt' and More!" Users who reposted Bladtcast #321 - "Rock Talk with Carsen : Def Leppard Hall of Fame, 'The Dirt' and More!" Playlists containing Bladtcast #321 - "Rock Talk with Carsen : Def Leppard Hall of Fame, 'The Dirt' and More!" 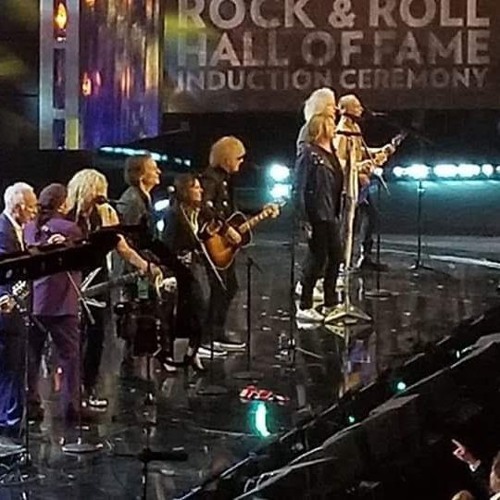 More tracks like Bladtcast #321 - "Rock Talk with Carsen : Def Leppard Hall of Fame, 'The Dirt' and More!"